What happens when your child doesn’t love reading as much as you did? For parents, this can get a little frustrating and many times they don’t know how to help their child learn to love reading. Here are some easy tips to encourage reluctant readers. When I taught kindergarten and first grade one of the most frequent questions I would get from parents was how to get their reluctant readers excited to read. For some of us, the love of reading starts early and we grasp on and never let go. For others, reading doesn’t come as naturally or they feel like they aren’t good at it and therefore they will do everything they can before picking up a book. For parents who love to read this can get very difficult. My son came into the world reading. He can pick up a chapter book and have it finished by the time he goes to bed. I am constantly at the library trying to find new series and books that I think he might enjoy. My daughter, on the other hand, didn’t grasp the reading bug that everyone else in the family has. She has struggled in school staying up to the reading progress that her peers have made and therefore she gets frustrated when she can’t read the words. For her, we have had to come up with some creative ways to get her excited about reading. Turn on the closed captioning on your television set. We started doing this as far back as I can remember because my husband has a hearing loss, so the kids have gotten used to the words on the bottom of the screen. Our brains will read and correlate the words on the screen automatically and this is a good way for young kids to learn some sight words. Take your kids to the Library or the book store. There is something magical about walking into the children’s section of a book store or the library. Often there are displays that capture the kids’ attention and display some popular books and authors that your child might know already. My daughter’s eyes light up every time we walk into a bookstore. Take time to read a book yourself. As parents what we do often models the behavior of our kids. If they see us reading, they will more than likely want to try it themselves. Take 10 minutes every day and get caught up on a book that you have been wanting to read, your kids will notice! Join a summer reading program. Our local library and our school always have a summer reading program where the kids can earn rewards or points towards something enticing. Last year both my kids loved the program at our library and they read a TON of books. It is nice to have a rewards program every once in a while. Explore different educational experiences when it comes to reading. What I mean here is that there are some amazing technology available that can encourage young readers like never before. There are ebooks, apps, online reading programs, and educational games available online, often for minimal cost or even free! Each child learns in a different way, some need the paper-pencil type of structure while others prefer an online experience. Finding what works for your child could be the key to turning a reluctant reader into a lifelong reader. 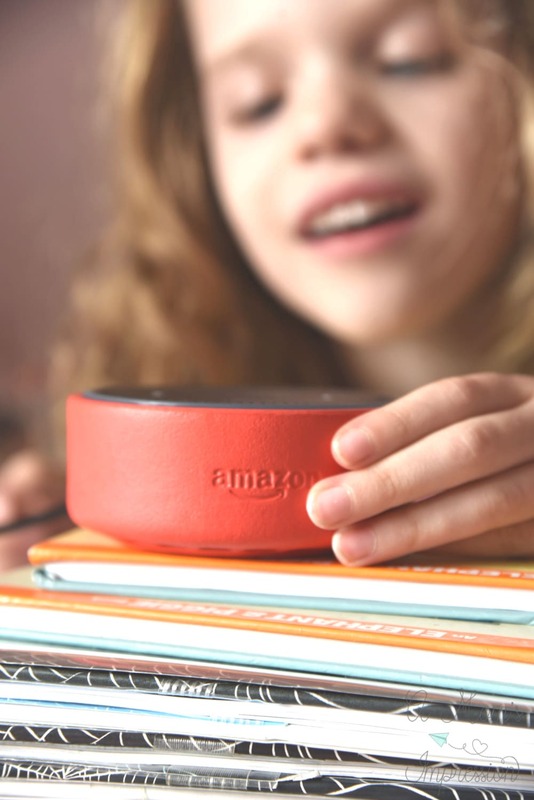 One of our current favorite devices to encourage our reluctant reader is our Echo Dot Kids Edition from Amazon. This handy little device is in both of our kid’s bedrooms and they love to use it. One of the main reasons they love it is that it comes with a free, one-year subscription to FreeTime Unlimited. FreeTime Unlimited is a service that provides hundreds of hours of entertainment and education for your child. From ad-free age appropriate radio, audio books, kid’s edition Q&A and tons of fun games to play, there is something for every child from the ages of 3+ and parents and kids can share in learning and fun together! There are hours and hours of fun to be had. All of this comes with a handy Parent Dashboard that let you set time limits, review activity and manage settings. My kids love the audiobooks. My son is currently reading through the Harry Potter series and sometimes he wants to listen to the story. When my husband and I aren’t available he will have his Echo Dot Kids Edition read it to him as he lays on his bed. I have seen a big change when it comes to my daughter. 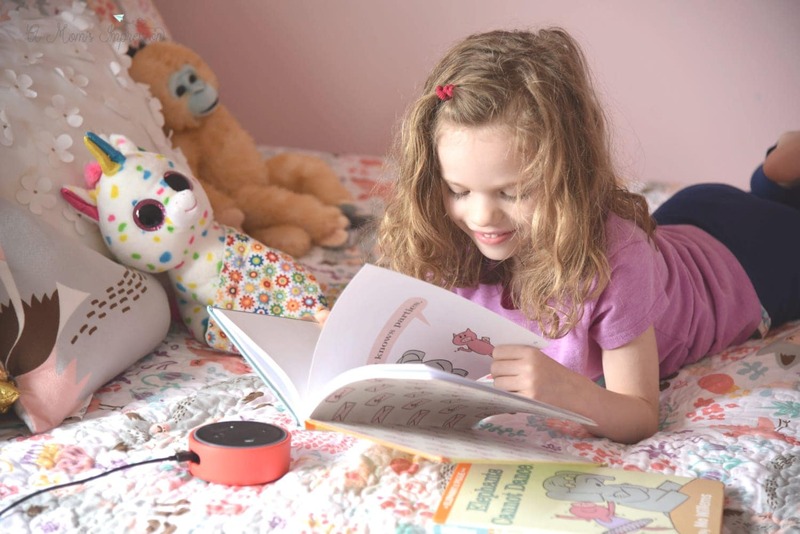 Not only does she love listening to the stories, but she will also pick up one of her favorite books and read along with her Echo Dot Kids Edition as the story is being read to her. It is a great way to encourage your kids to read more! What is even better is that FreeTime gives my kids access to over 1,000 Audible books, that is way more than we have available for them in the house. It is nice for those times when we haven’t been back to the library to turn in our books and they have run out of things to read at home. I can see them both using this service for years as they find new stories to get lost in. While I don’t see this device replacing the “Night-Night Stories” we read to our kids, it has given us a whole new way to enjoy reading together. 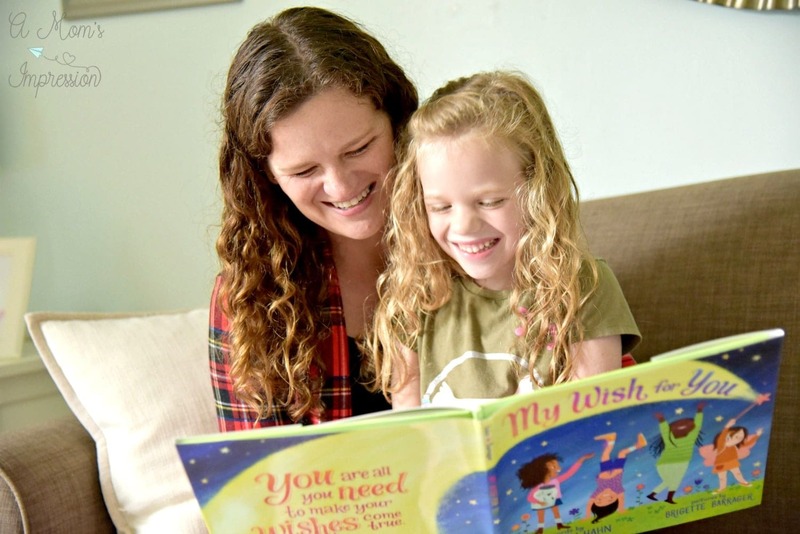 It has encouraged my daughter to read more often and helped her develop those critical sight words that she will need to be a successful reader. 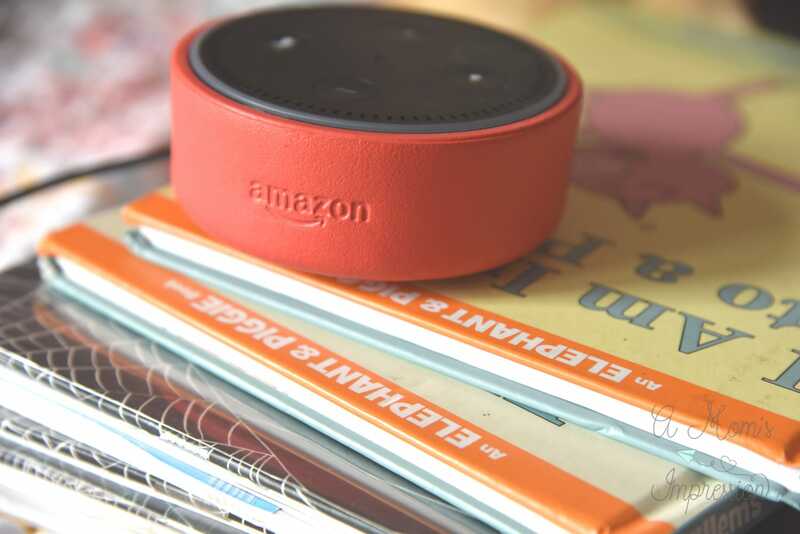 I love that they are able to ask their Echo Dot Kids Edition questions as they are doing their homework or as they are curious about something that they are reading about. Your little ones can ask Alexa any number of questions about science, math, spelling, or spelling definitions. Let their curiosity be their guide. Alexa continues to get smarter every day as more and more information is stored. Overall, we highly recommend this device for parents with small children. Would you like to win one for yourself? We are so excited to be participating in a fun giveaway where you could win one of ten Echo Dot Kids Edition devices! Hurry, this giveaway is ending on April 3rd! Enter using the widget below, good luck! « Join Me at the #PacketsUp Twitter Party March 3/26!